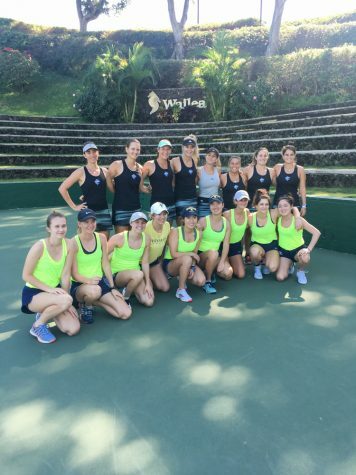 On Saturday April 7 against Pacific Lutheran University (PLU), Whitman’s women’s tennis team not only secured a remarkable 9-0 win as a team, but also made history. 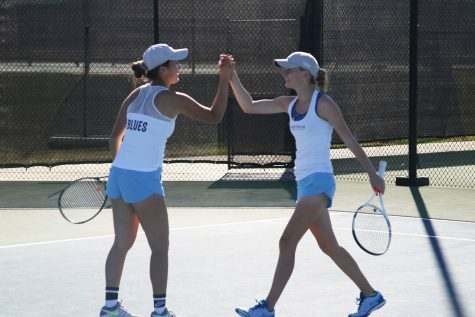 During a doubles match with Andrea Gu, senior Hanna Greenberg joined Whitman’s Century Club by winning her hundredth career match at Whitman. To further improve her special day, she later added her one-hundred and first win with a singles victory over PLU’s Bayley Gouchanour. 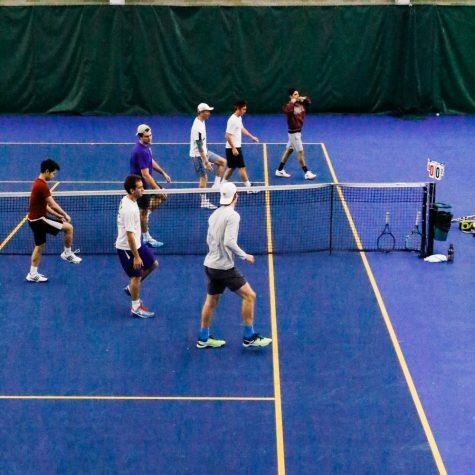 “We hosted the match for the SOS fundraiser at Bratton, where we kicked off Saturday’s match against Pacific Lutheran with a kid’s tennis clinic. I got to work with some middle schoolers as we tuned up their groundstrokes as well as serves. That was such an energetic way to start the day, and it was fun bonding with children in the community who share our love for the game,” Gu stated. “I’m so proud of this team. The season has had a different rhythm than previous ones and some of the competitive identity as a team and individual growth we’d hoped to see early on came in March. Spring break was really important for us. I know I sound like such a coach, but the losses to Vassar and Trinity were a blessing that let us focus on how we need to compete rather than fighting ourselves for results. The team really stepped up and since then, we’ve really had a lot more ease and joy to our play and now things are really clicking as we prep for postseason,” Hein said. Gu also felt that there had been some immense growth in her second year at Whitman. “As much as there are the usual nerves going into matches, the team’s support for each other makes every moment so enjoyable and I cherish all the memories we make, both on the road and especially at home. In doubles, Hanna and I have felt so much confidence since coming into the season, as well as building off of nationals in the fall. We complement each other very well all-around, so we’re pretty much unstoppable! It’s been such an honor to be playing alongside one of two amazing seniors on our team; I don’t want it to end,” Gu stated. 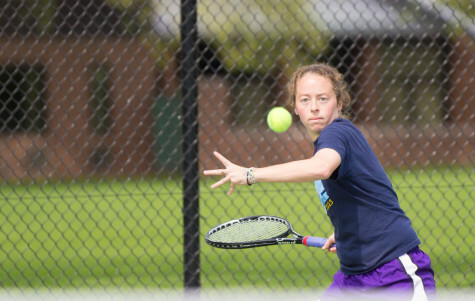 “Better outdoor tennis weather here in Walla Walla, and cherishing every moment until the end of the season,” Gu said. 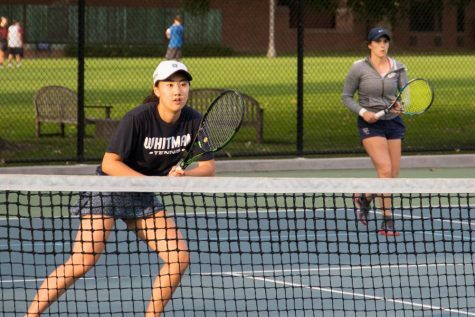 A 6-3 win against Whitworth this last weekend secured the team a second-place seed in the conference tournament, taking place at Linfield on April 21 and 22nd. 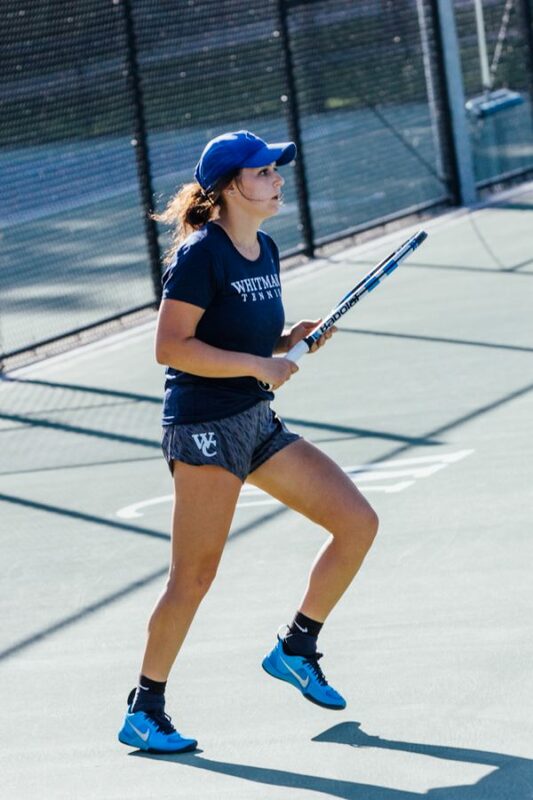 The women's tennis team enters the NWC Playoffs as the #2 seed and will play Lewis and clark in the semifinal before facing the winner between host Linfield and Whitworth.